City Continues To Take A BIGGER BITE! According to the draft version of the 2016 - 2020 Financial Plan presented to council recently the impact on a 'typical' Nanaimo home will amount to another $430.50/yr for city taxes and user fees by the year 2020. 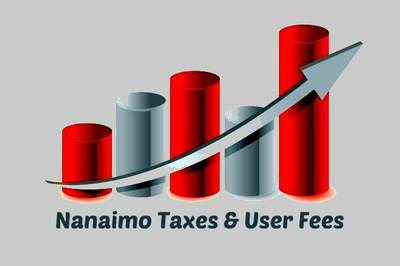 In the draft presentation it was noted that for the year of 2016 a typical Nanaimo household with an assessed home value of $335,540 will see taxes and user fees increase by $70.94. By using the budgeted increases through to the year 2020 that total per year will have increased by $430.50 annually. It is also important to realizes that this does not include taxes being collected for the RDN, the School District and the Hospital. All of which will be increases on top of the increases contained in this financial plan. The average Nanaimo taxpayer will not be seeing any new services for their additional $430.50/yr. A large percentage of the needed increase in taxes is to support the ever-increasing cost of wages and benefits being paid at city hall. For example in the 2016 budget a total of $1.5 million in tax increases are consumed largely in part by $974K for contract labour increases, and does not include exempt staff increases or the cost of another $300K to the RCMP. Time for council and staff to start slashing stuff! It's totally outta control. Communism by any other name is still communism.